Kid’s Beach Bag Essentials & Teaching Indigo how to Swim! let him take a dip This summer my goal is to get Indigo familiar with the water and teach him the basics of swimming. I teamed up with Hyland’s Earache Drops to share with you my Kid’s Beach Bag Essentials and our fun afternoon swim! Whenever I head to the beach I always make sure I have the essentials. I never leave home without a few changes of clothes for Indigo, his sunglasses, waterproof sunscreen (in love with the stick kind- no messy hands! ), aloe vera (these little gel caps are so convenient), healthy snacks and Hyland’s Earache Drops. 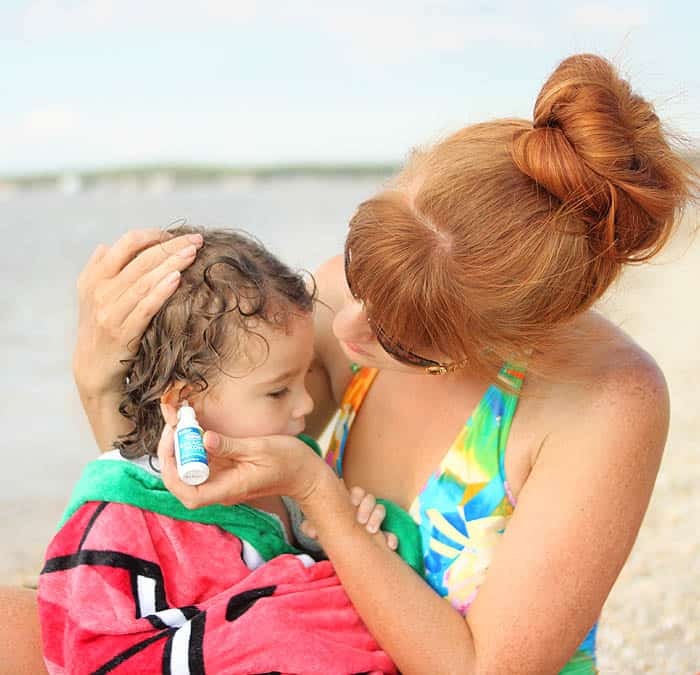 Hyland’s Earache Drops are a great, natural remedy for earaches caused by swimming. If your little one has ever head an earache, you know that it also can cause fever, irritability and sleeplessness in addition to pain. 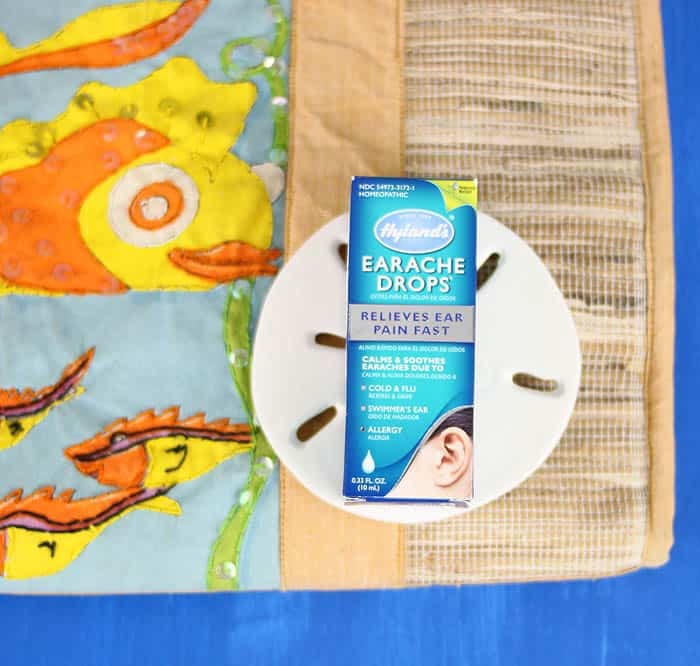 Hyland’s Earache Drops help relieve these symptoms with its natural, homeopathically-prepared blend of botanicals and minerals. Indigo was afraid of the water last summer, but he absolutely loves it this year! I’m trying to work on his kicking and paddling, but his favorite thing is just to be swung around. Hyland’s Earache Drops can be used by the whole family. 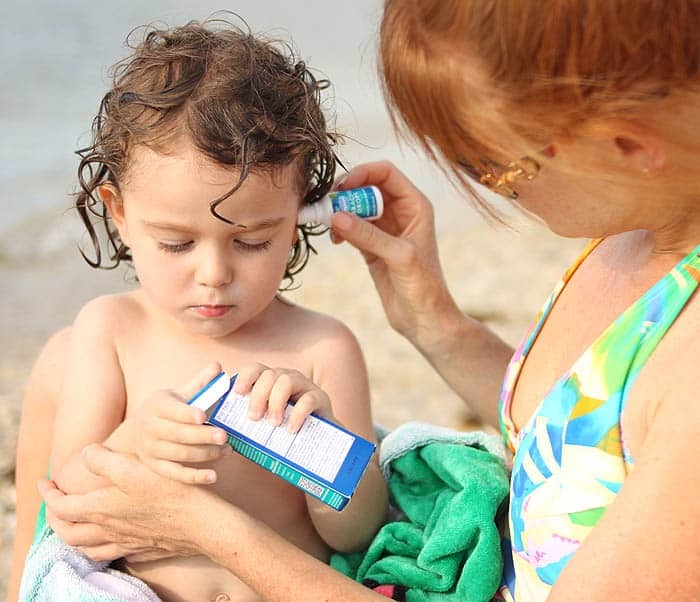 To use simply tilt the head and apply 3-4 drops in the affected ear. Best of all- there’s no alcohol and no stinging! Indigo doesn’t even mind when I apply the drops. 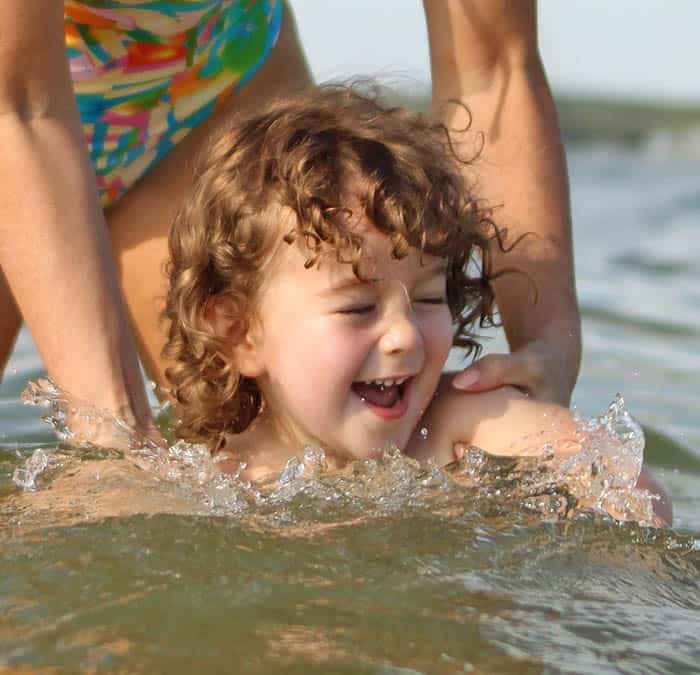 What are your Kid’s Beach Bag Essentials? I’d love to hear!